SimplyCast® is an Email Marketing Solutions Company whose products are used by 1000s of small to medium-sized businesses and non-profit associations. 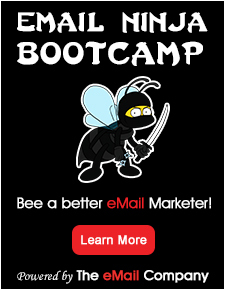 SimplyCast is a leading provider of email marketing solutions for organizations worldwide. With over 10,000 customers in various industries ranging from accounting, law and retail to real estate, tourism and advertising, SimplyCast provides businesses with email marketing tools to help them effectively reach their customers and grow their businesses.The company was established in 1999 to form one of the first email marketing solutions companies on the Internet. The SimplyCast suite of email marketing solutions allows businesses to send personalized emails, conduct surveys and manage events; Eztrackz, an advertising and click-fraud tracking service; and Blacklist Monitor, a blacklist email IP monitoring service.